Come June, schools closed, leaves approved, tickets bought 6 months back, everyone is ready to go for a vacation back to India. Some people book through Air India express which is relatively cheap in comparison to other Airlines. One has the option for Air India Express is to book purchase online, saves you at least KD 5.000 or more as the travel agency charges. Then comes the strike from Air India not because they were not paid but because somebody some where wants to learn to fly the Dreamliner and does not want the other to do so. Now that is a pre-school attitude. This attitude is costing the country and Indians abroad dearly, very dearly. Neither the government, DGCA nor the Air India or Air India Express have the slightest care for the Indians abroad. The strike had no window of ending, then came cancellation of flights. I am unaware of how things are elsewhere but here in Kuwait people who booked via Air India Express had to fly by Indian Airlines. 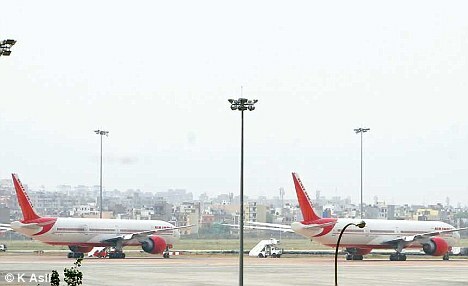 Indian Airlines and Air India officially merged in 2011. Just to be aware the pilots who have called in sick will not be able to resume flying the next day, unless they undergo a medical examination and are certified fit. Once you are enlightened, not by Air India Express calling you, but by word of mouth, you run to their office to change your tickets. I am not saying they do not SMS, call you, but when they do the chances of you flying on the said date is close to impossible. Assuming you are flying Kuwait-Kochi, Air India Express changes you to fly by Indian Airlines, Kuwait – Chennai – Kochi (well that is what they say). Now to take this flight you will have to be at Kuwait Airport by 1930 for a flight flying at 0000 hrs and you should reach Kochi at 1330. What Air India Express does not tell you is where this particular flight is touching and what the passenger will go through. For this particular itenary you will fly Kuwait-Goa-Chenna-Kochi. In Goa there is no flight change, that sounds good. In Chennai you will have to go through immigrations, which means you fly local from Chennai to Kochi. Now comes the tricky part. What if you want to cancel the tickets. At 40+ degrees you will have to do the running to the travel agent or to the Air India Express office to cancel. The passengers are entitled to a full refund and the service fee charges by the travel agency or the Air India express office (If you purchased tickets online it would be a little more difficult to get the cancellation charges because that is how the system is designed.). You will notice that that Air India Express will deduct from the refund KD 4.000 reservation charge. This KD 4.000 charge is for the usage of their systems to book the ticket. I am not saying you can, but you could probably claim the KD 4.000 too. There is no Air India or Air India Express office in Kuwait you read it right. When you enter the office that says Air India or Air India Express that is the agency for Air India Express and Air India. Under the Kuwait Laws the company name should be displayed outside the company, they have not done so. At least many people are led to believing that they are really entering the offices of Air India and Air India Express. There is a country manager who is sitting in the office of Air India, representing Air India and is in no way related to the agency. The Indian Community must abandon flying Air India, Air India Express, Indian Airlines and fly Kuwait Airways.